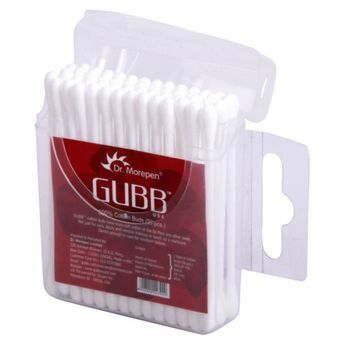 The GUBB USA Cotton buds Trauec PP box 50S is ideal for face cleaning or makeup removing. Lightweight and easy to carry in cosmetic pouch plastic box with 50 cotton buds. Soft cotton tips can you be used for applying or removing makeup or touching up a manicure. Gentle enough for newborn babies. GUBB USA, the international grooming range from "U", is a renowned name in the field of personal skin care items and brings quality products at affordable rates. Try GUBB USA Cotton buds Trauec PP box 50S today!